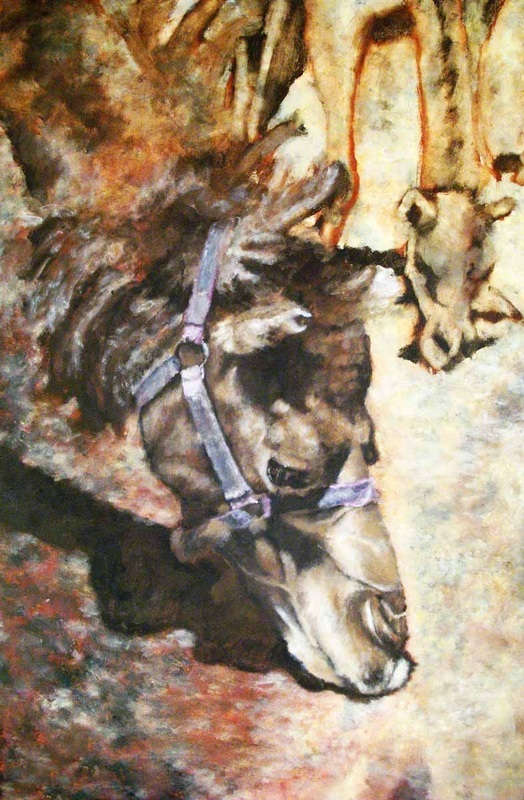 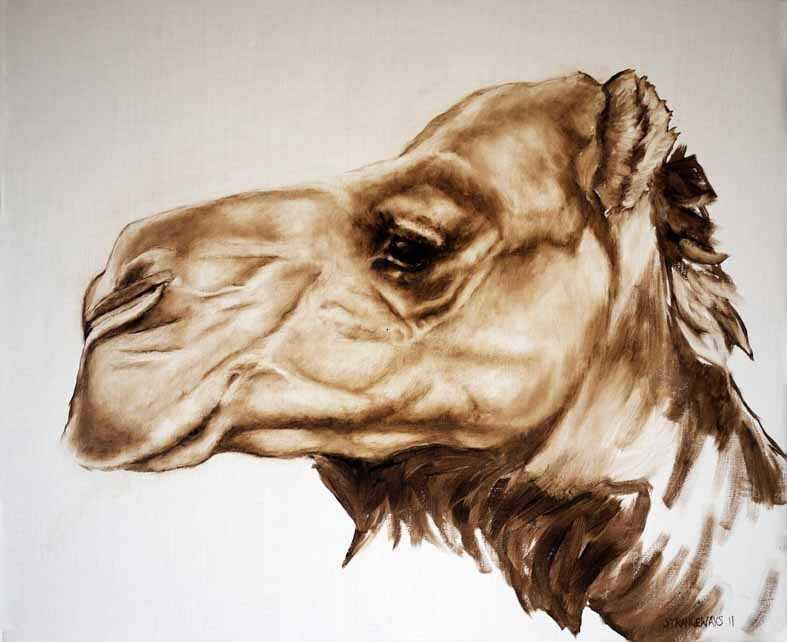 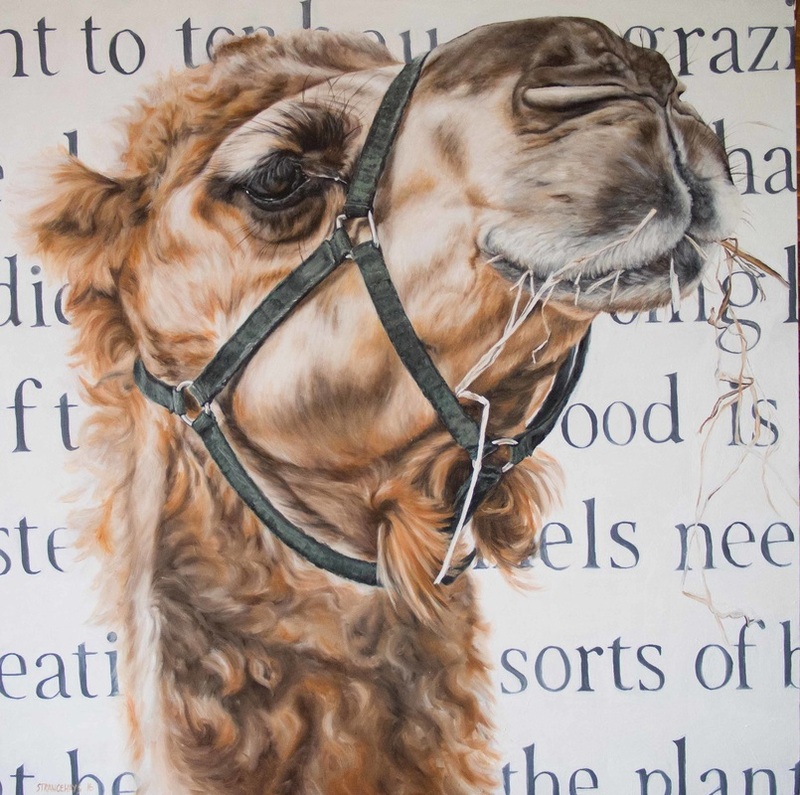 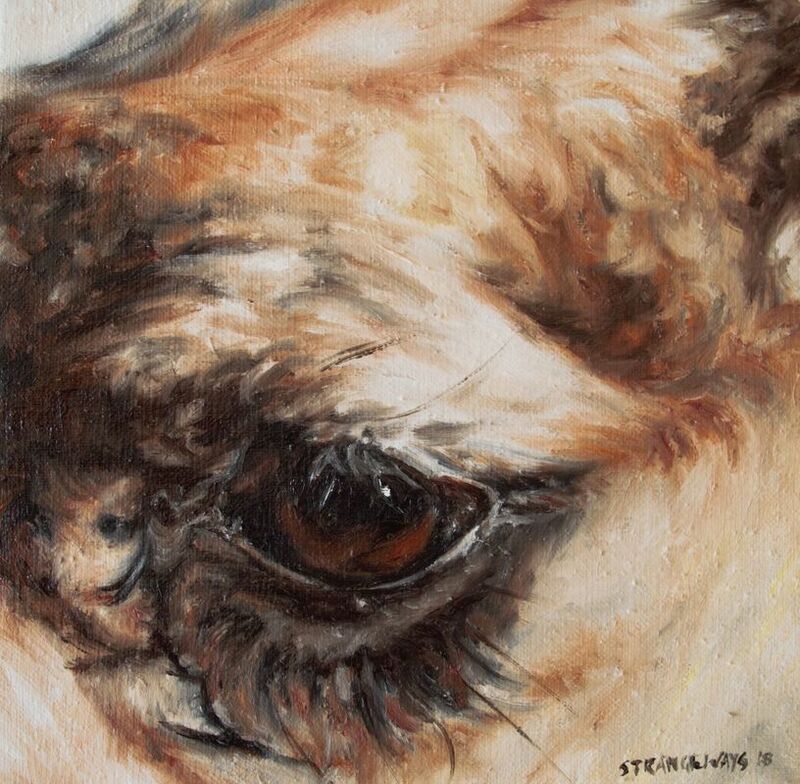 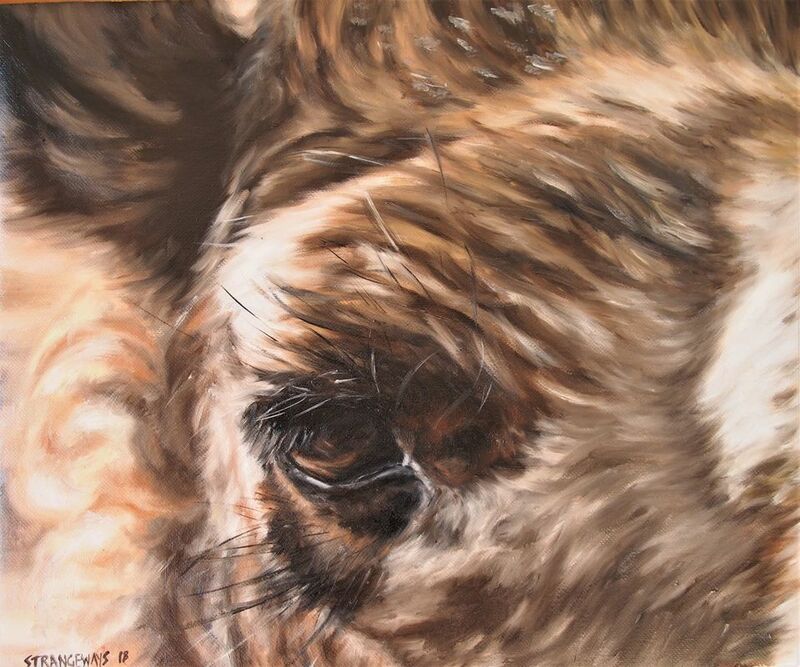 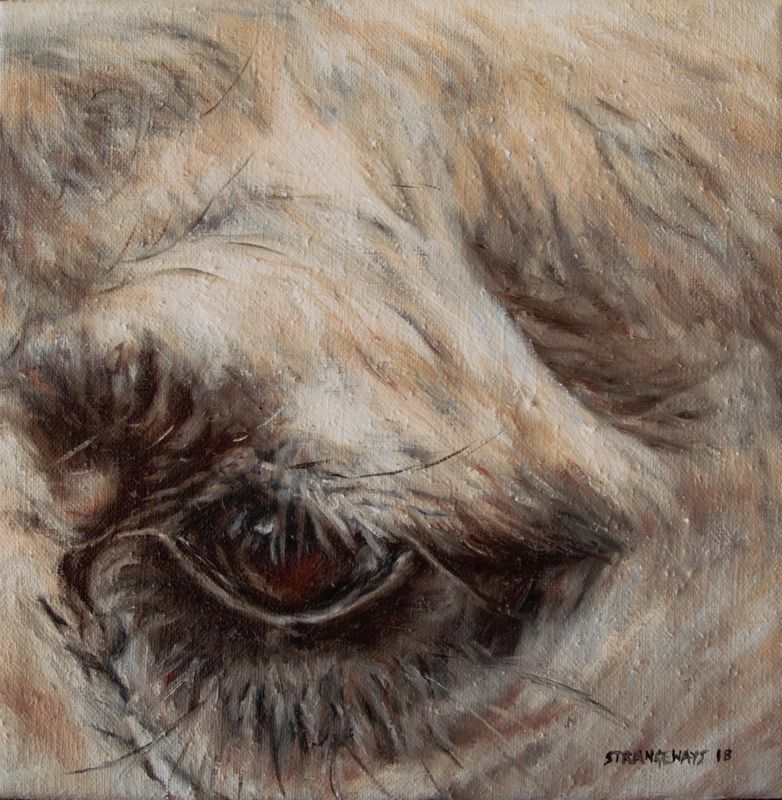 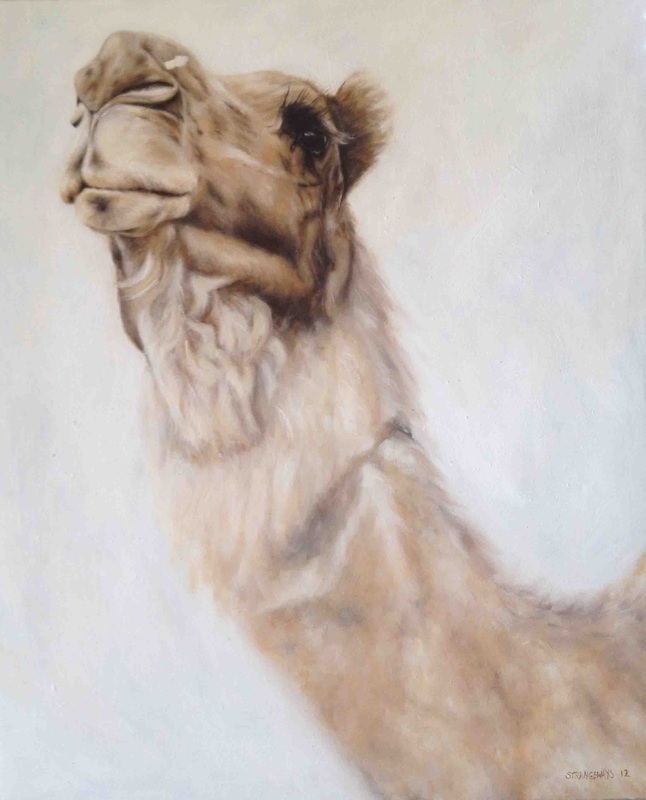 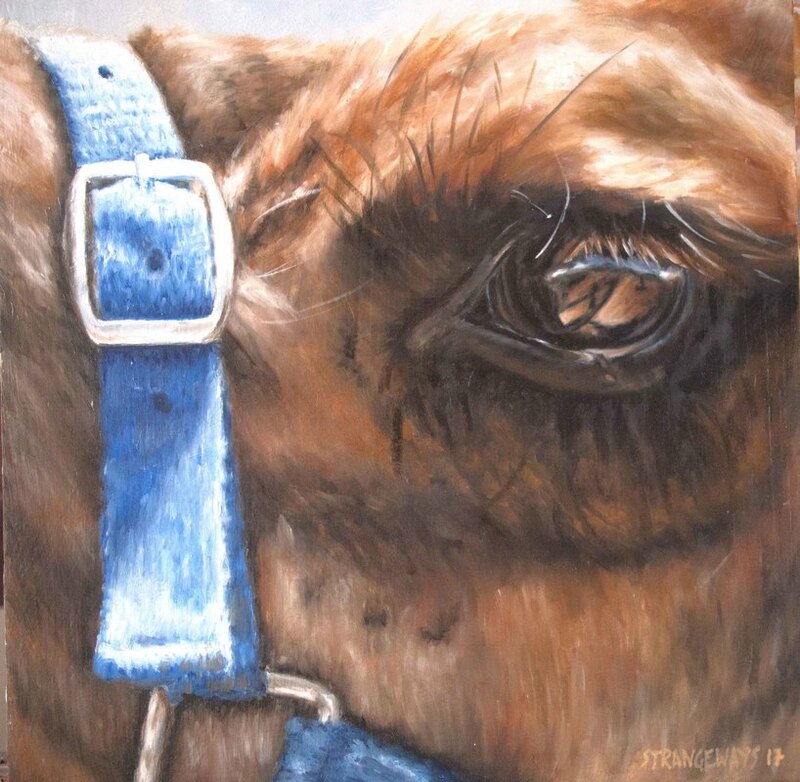 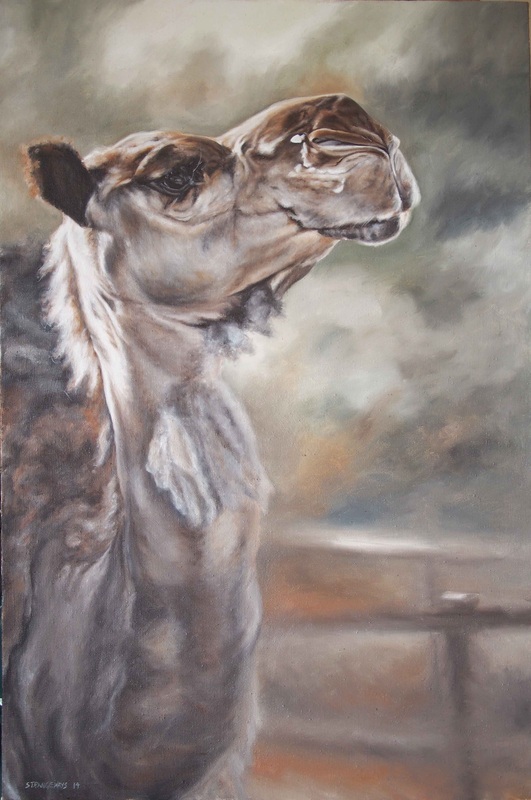 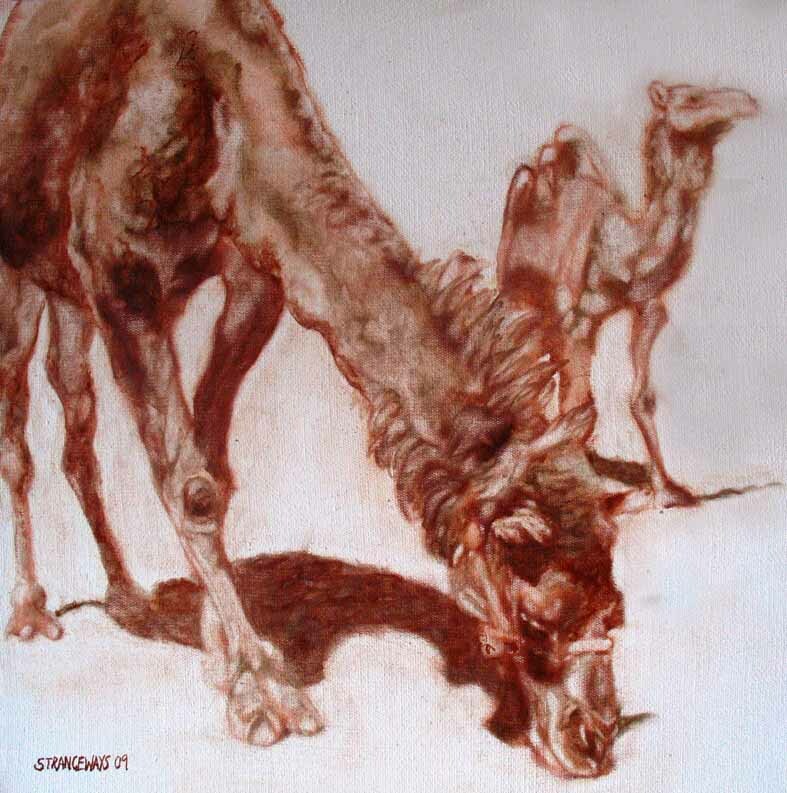 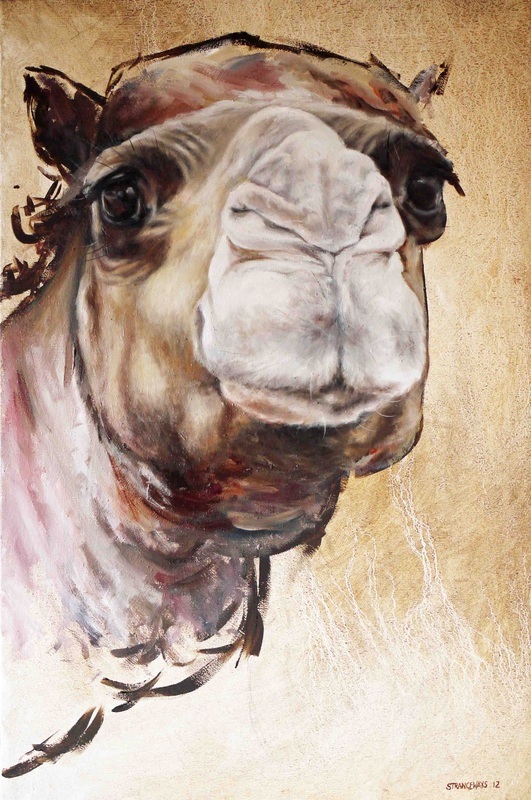 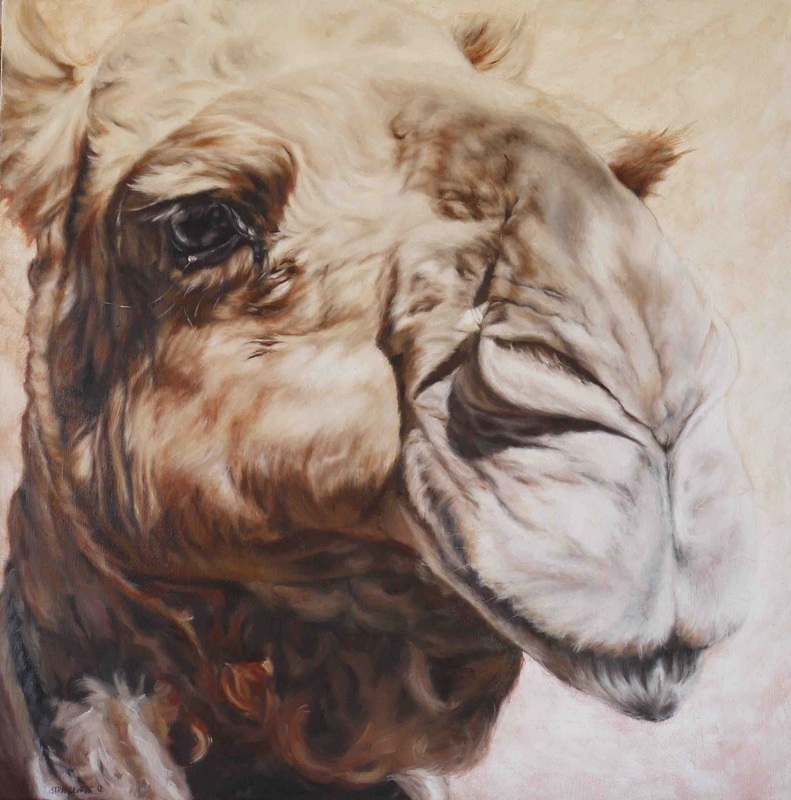 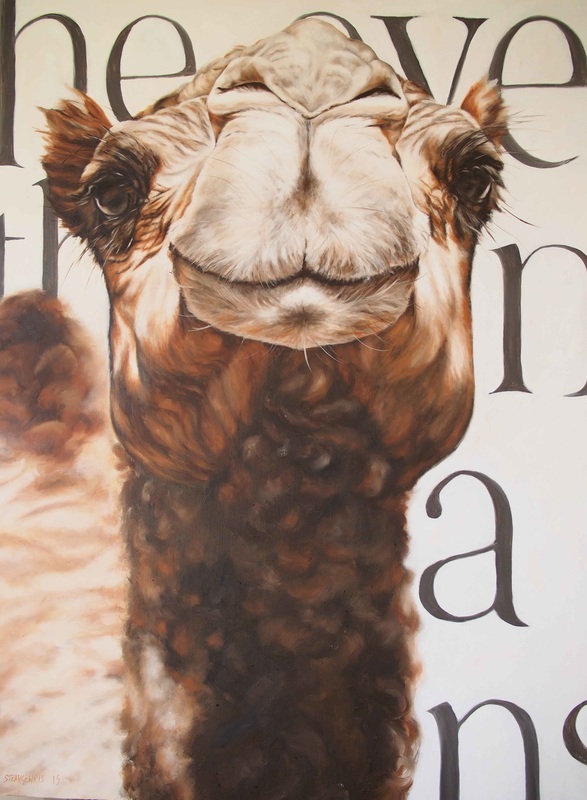 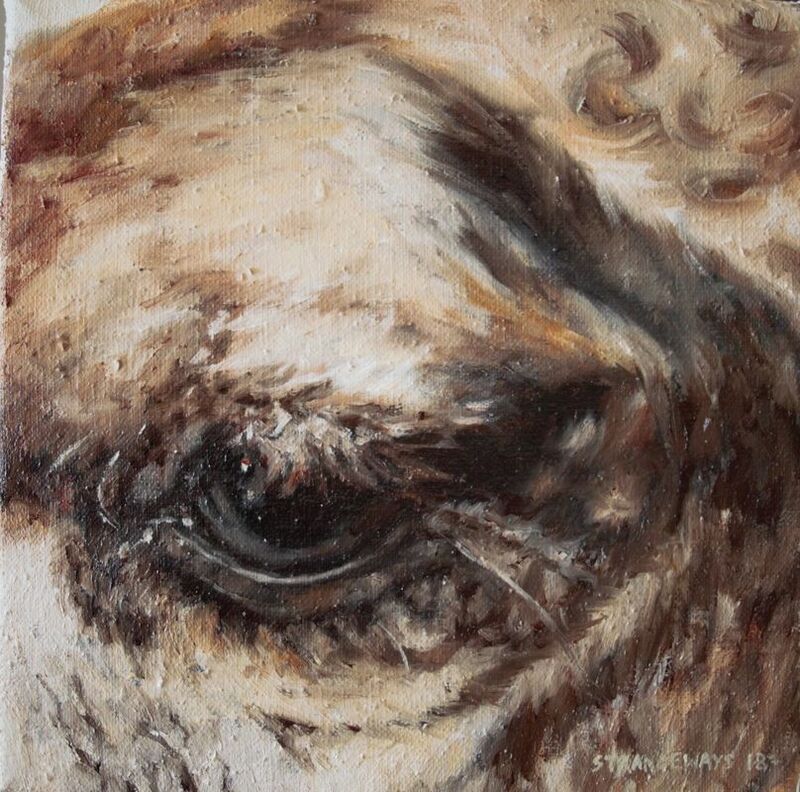 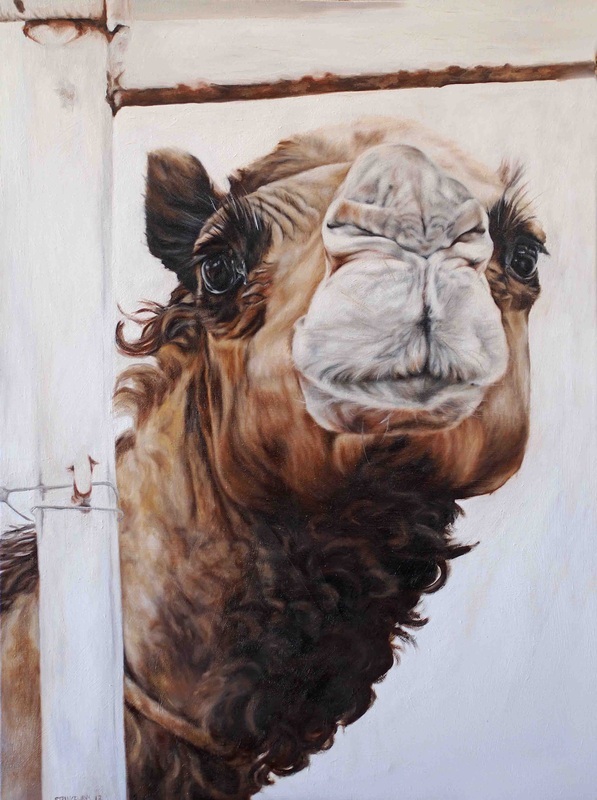 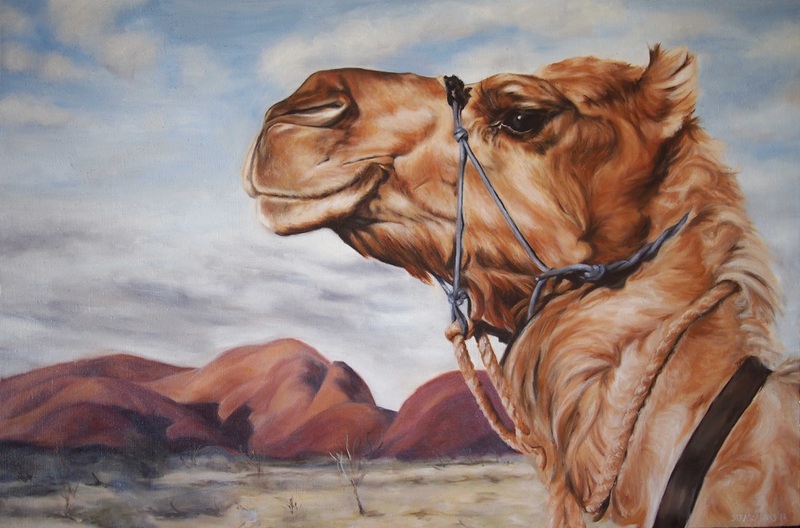 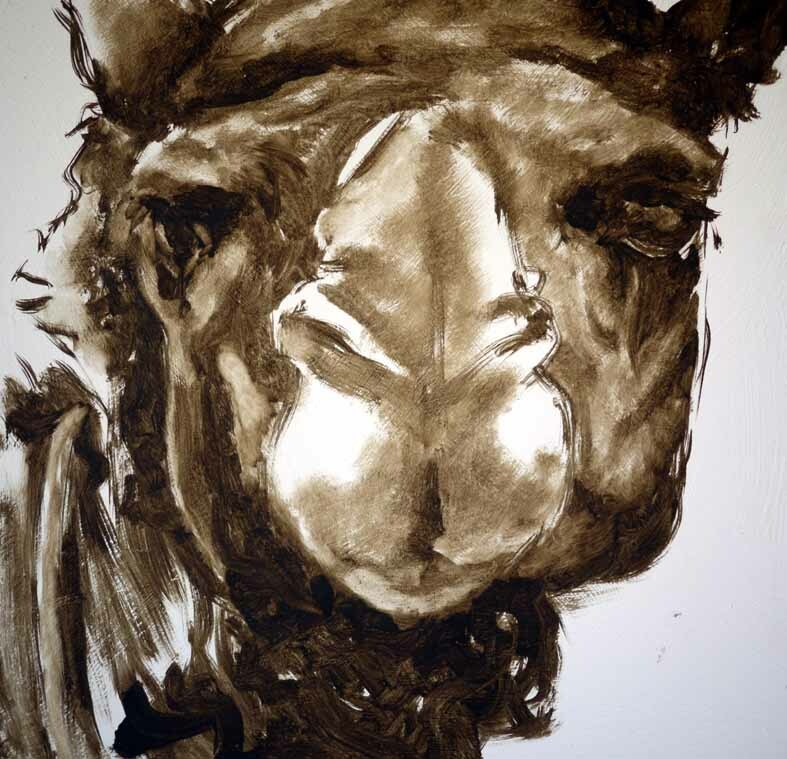 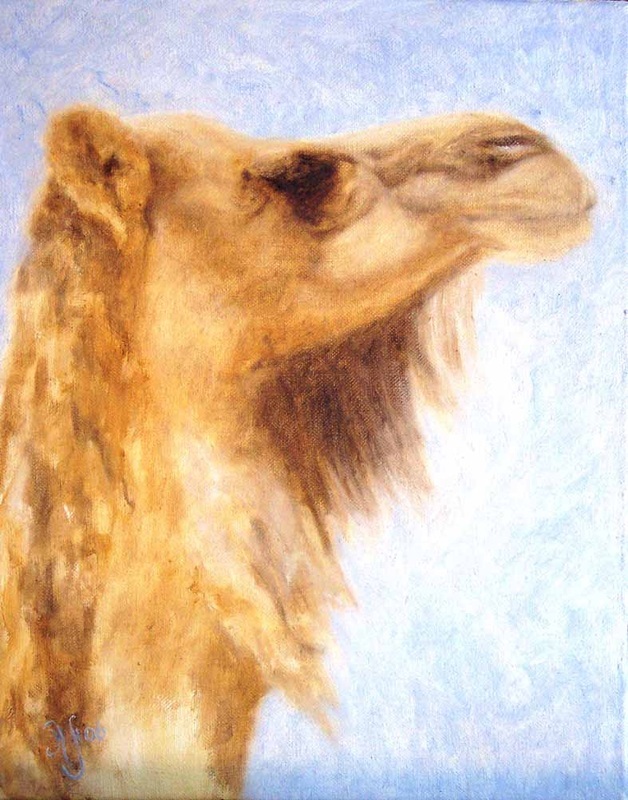 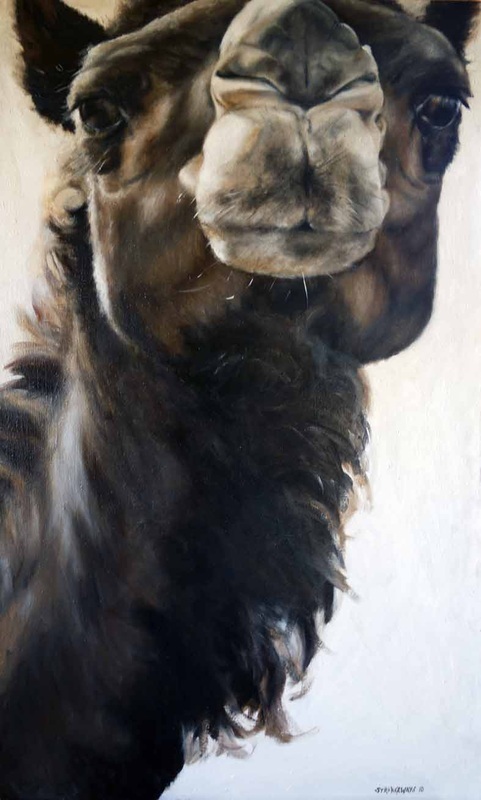 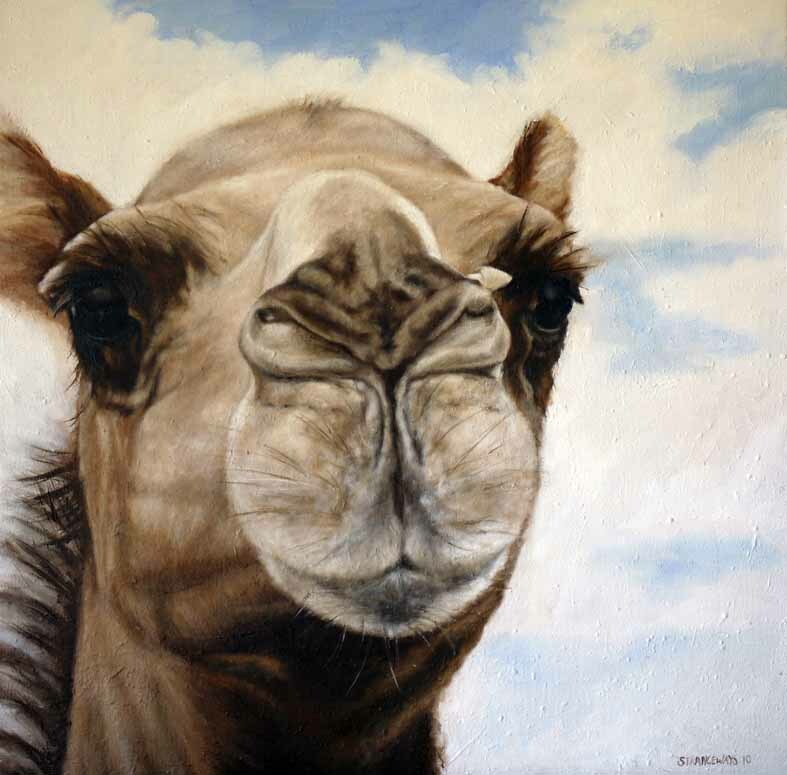 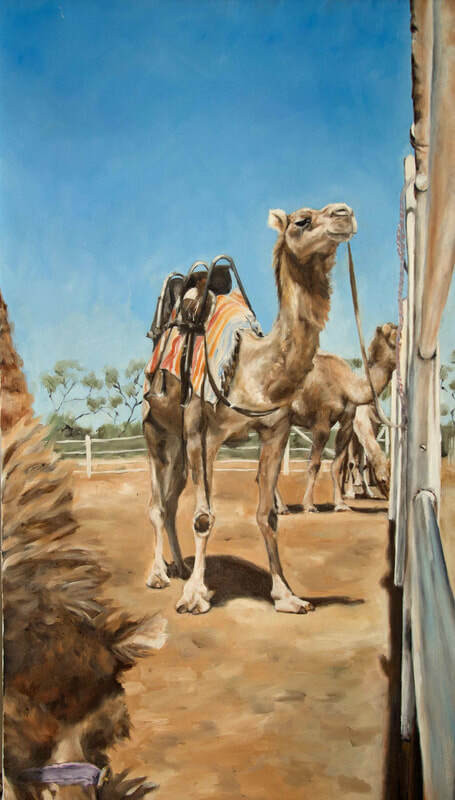 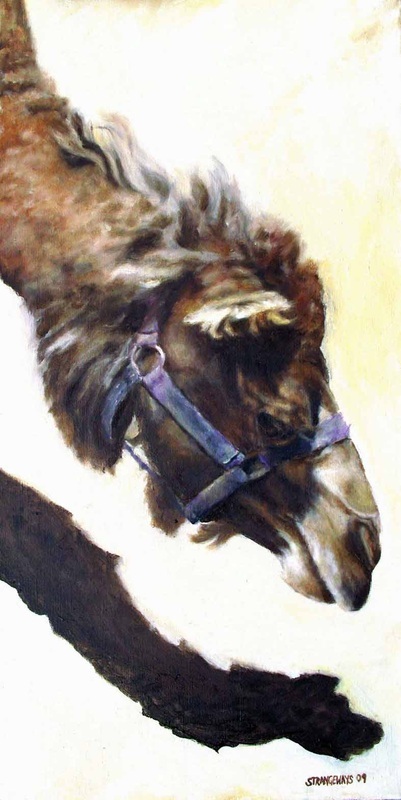 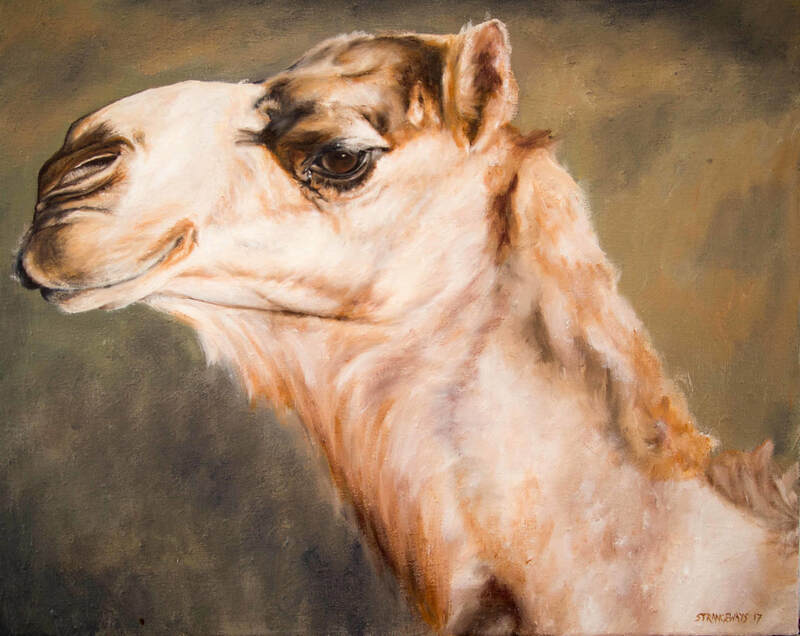 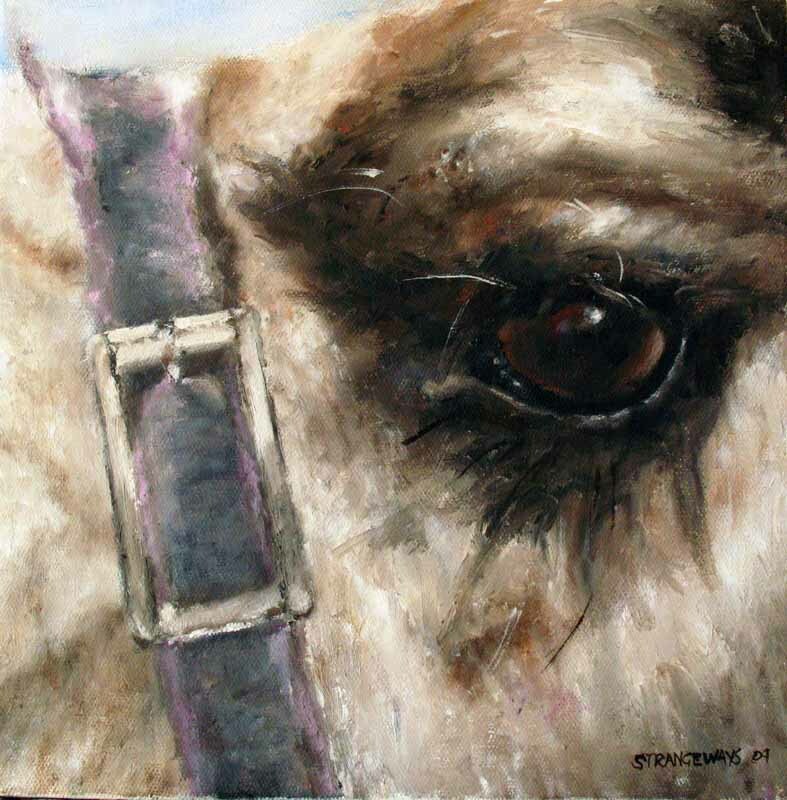 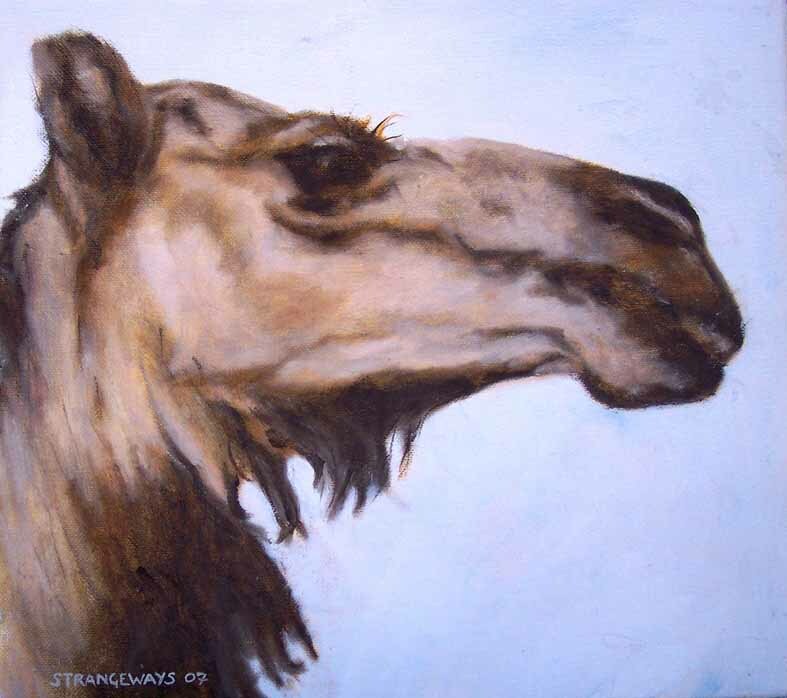 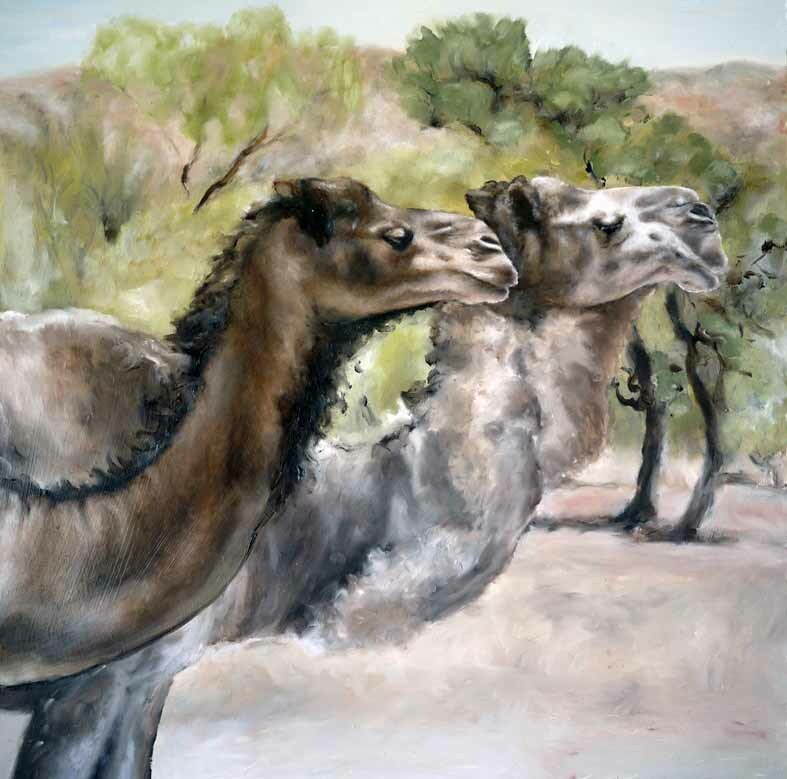 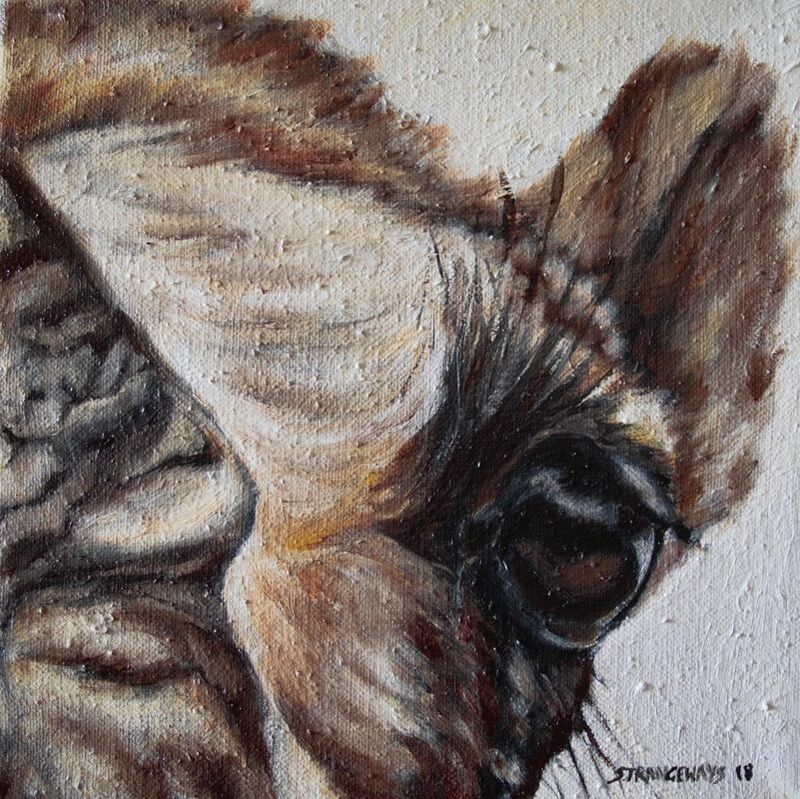 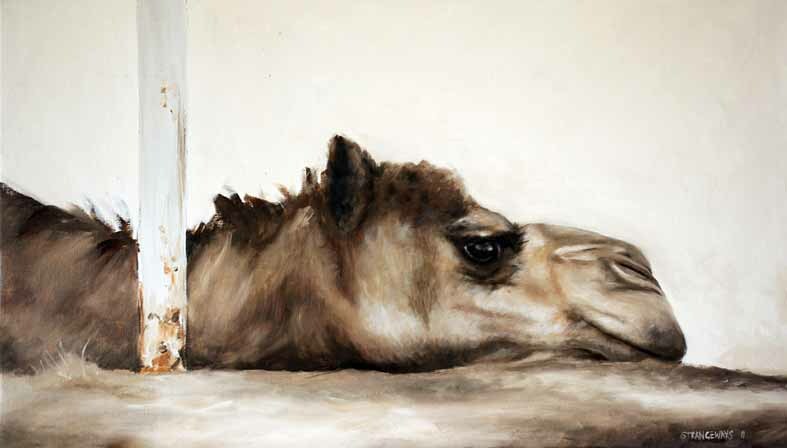 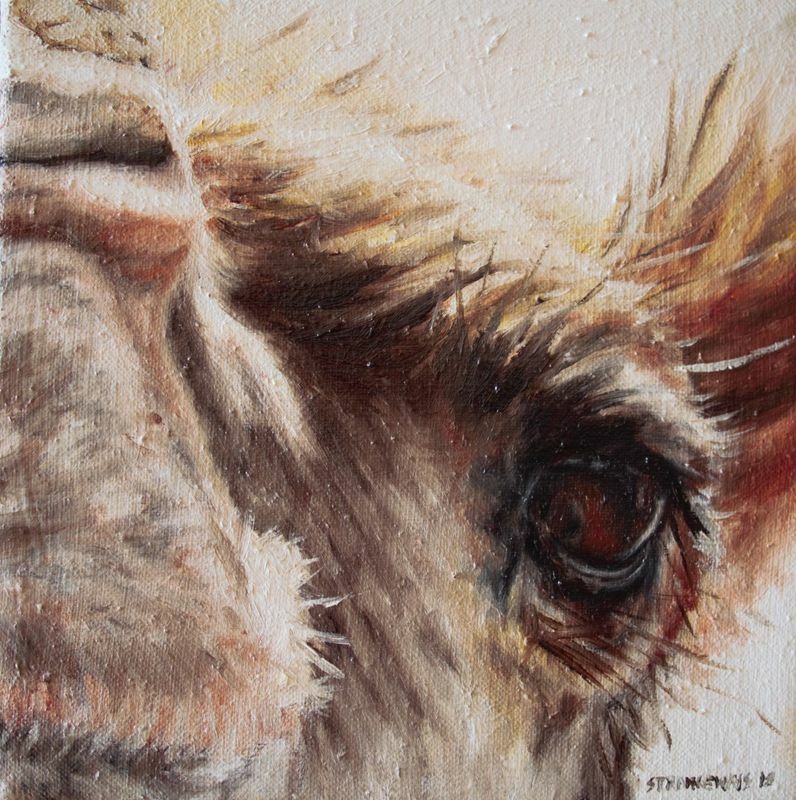 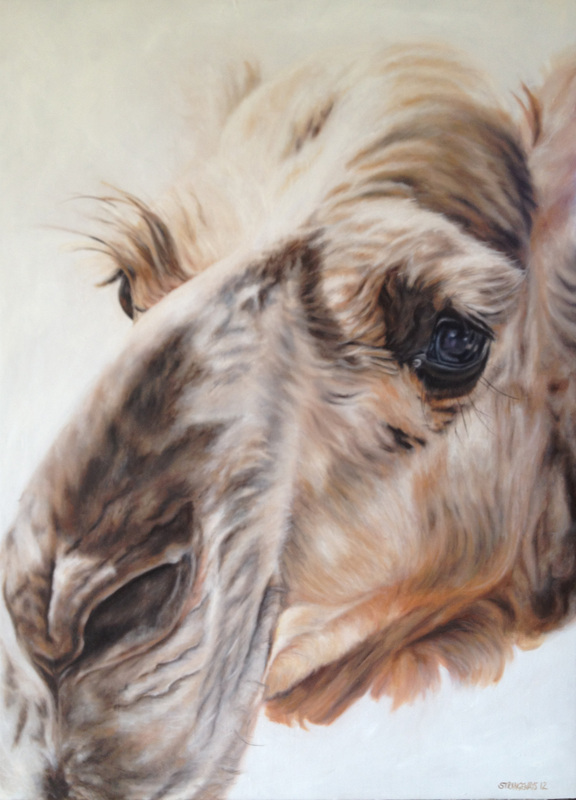 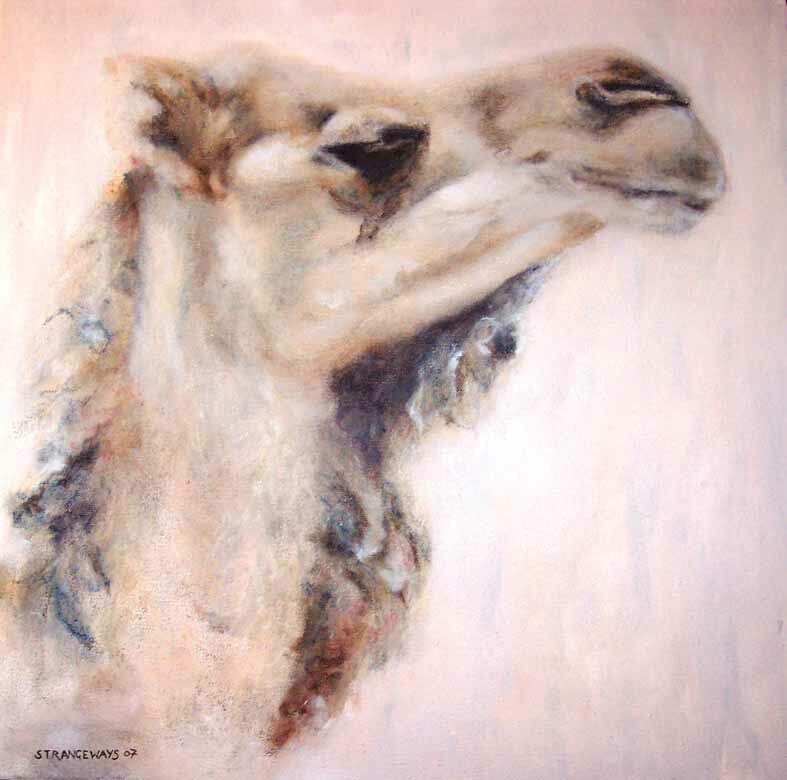 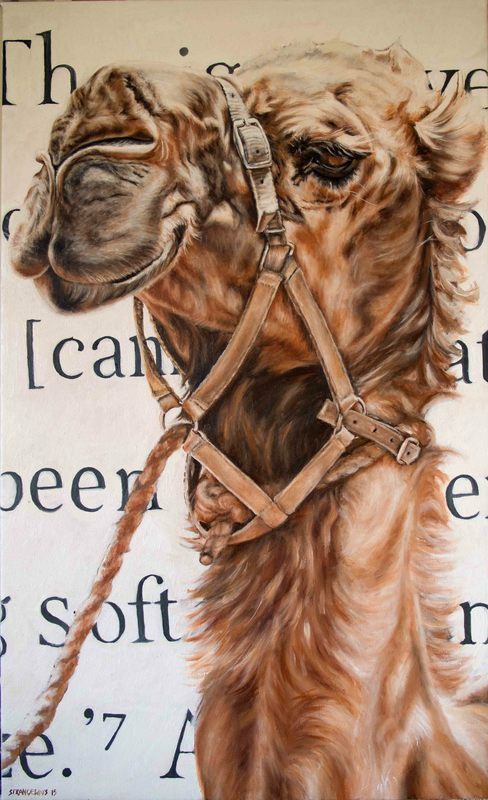 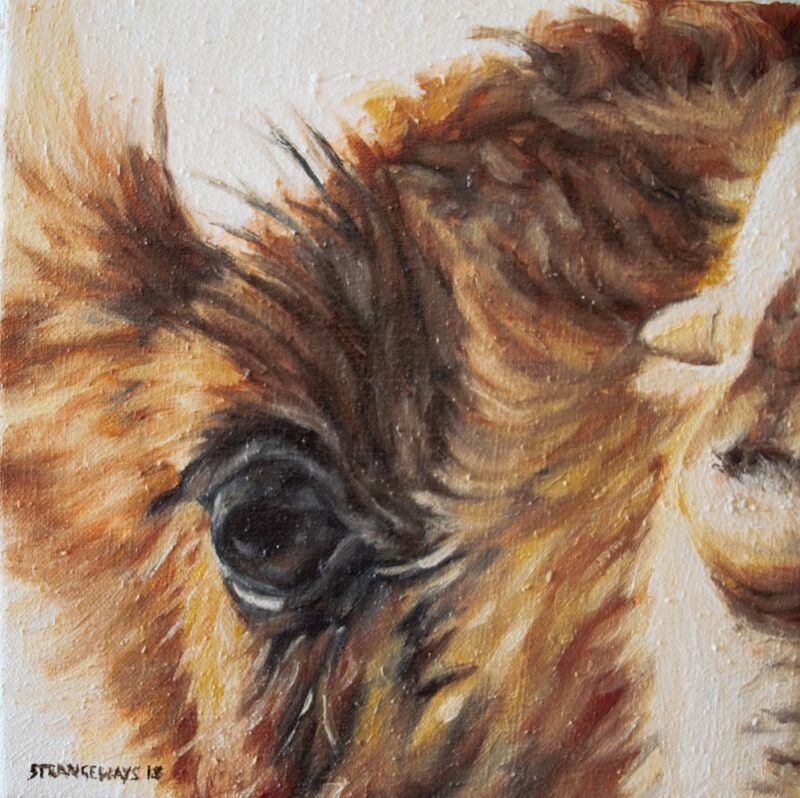 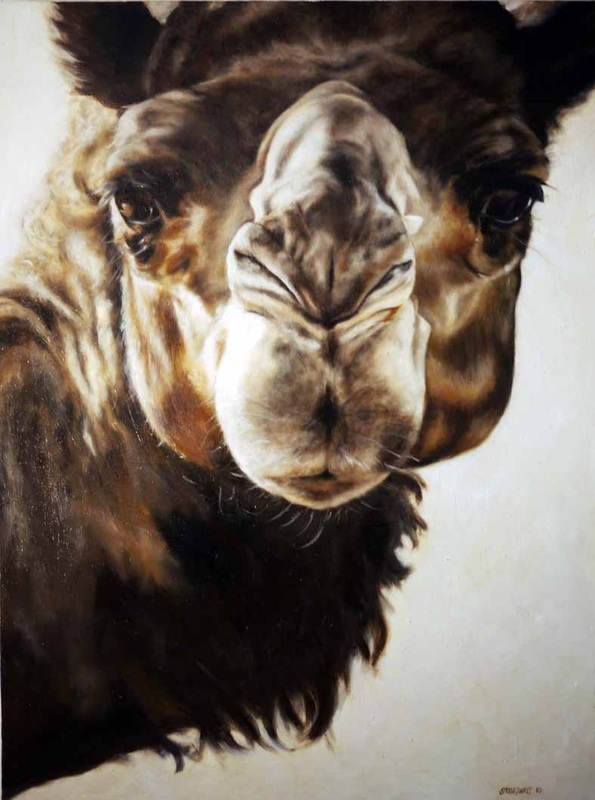 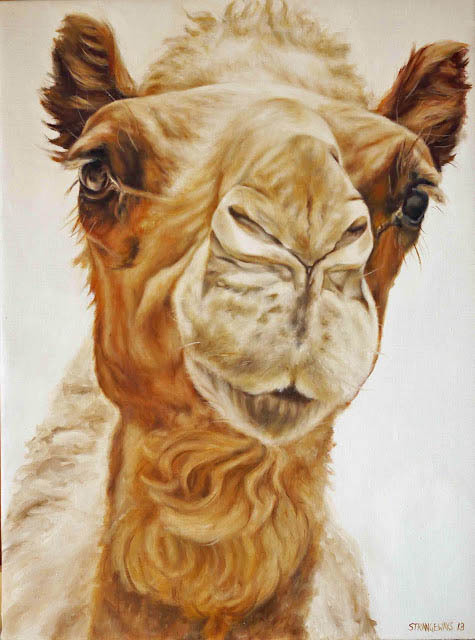 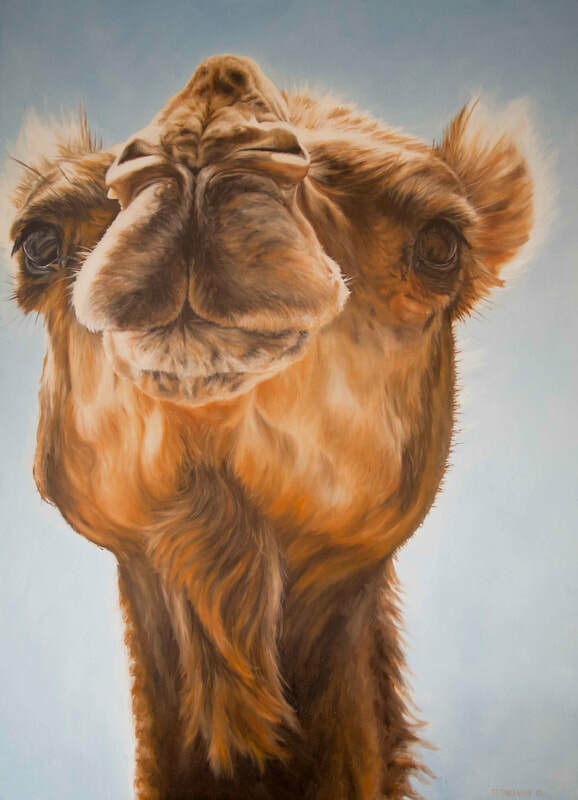 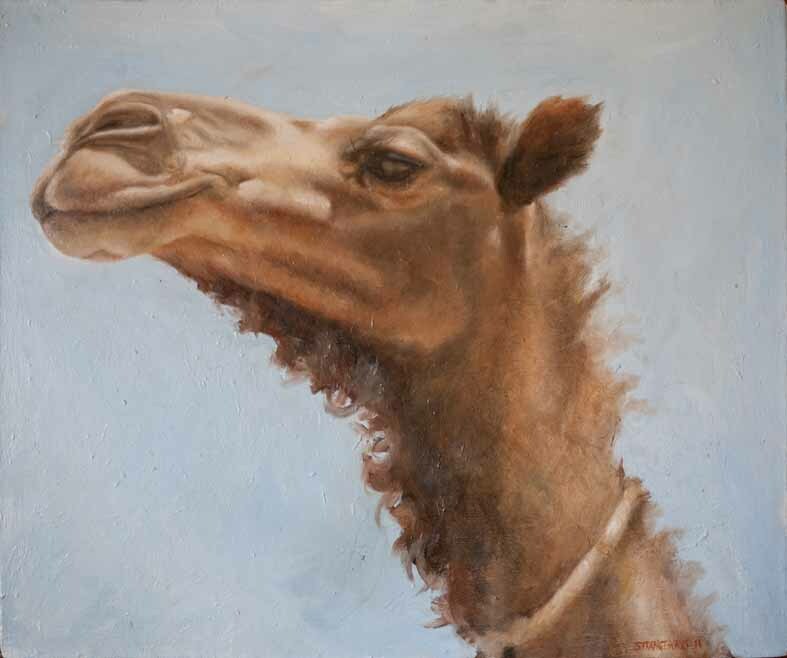 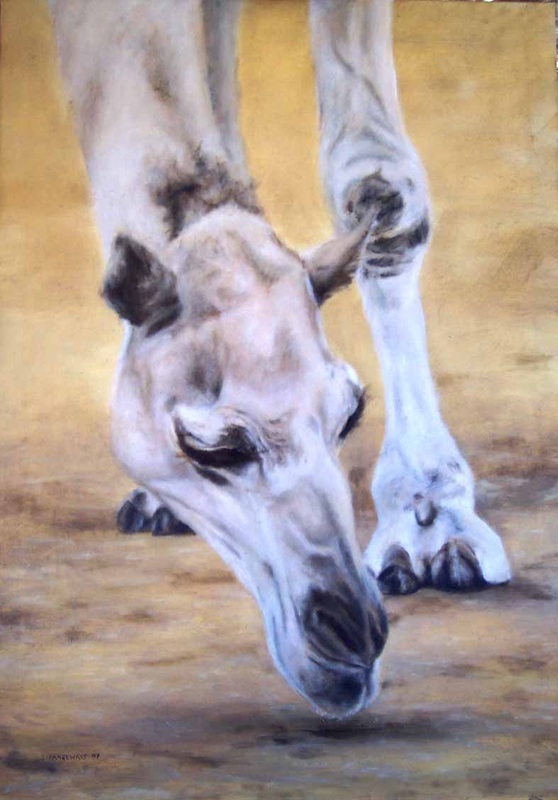 I've been painting camels pretty much since I've been painting (a bit more than ten years now). 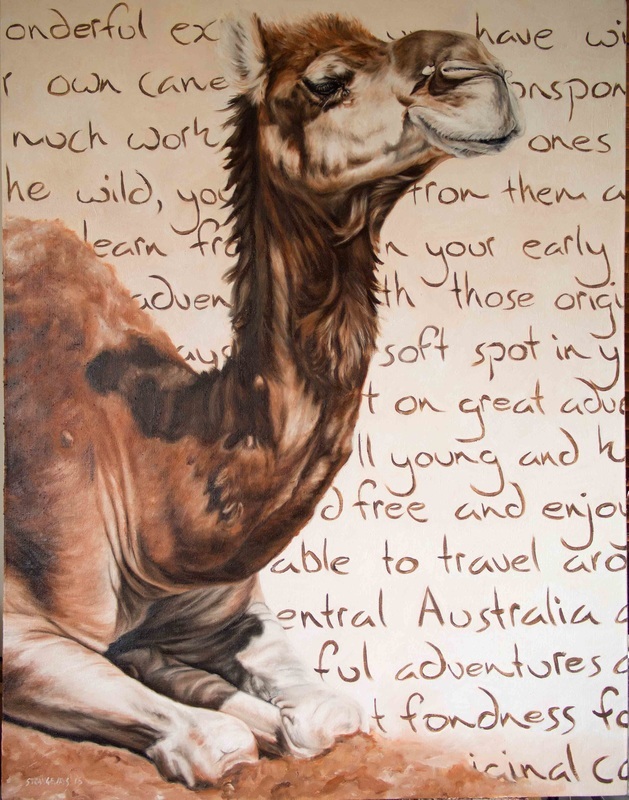 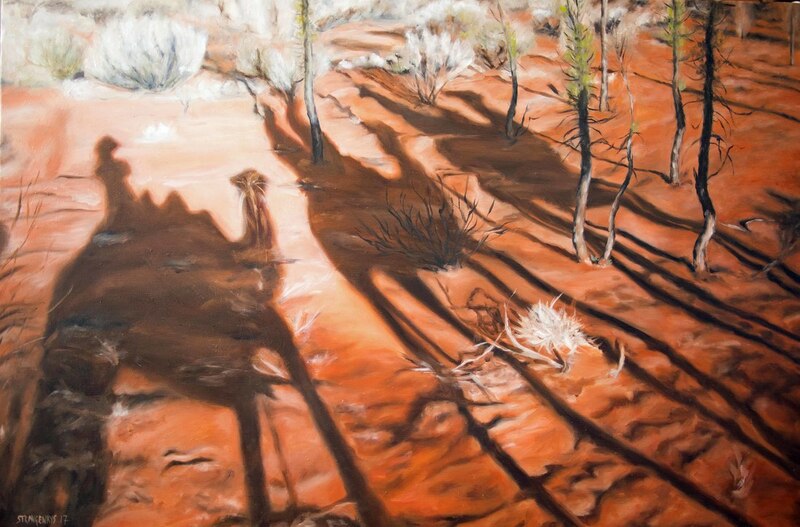 Even before coming to Australia and seeing them in person as it were, I've long been fascinated by them: the quirky elegance of their form, their association with deserts, TE Lawrence, sand dunes, kilim rugs and journeys in difficult but beautiful places. 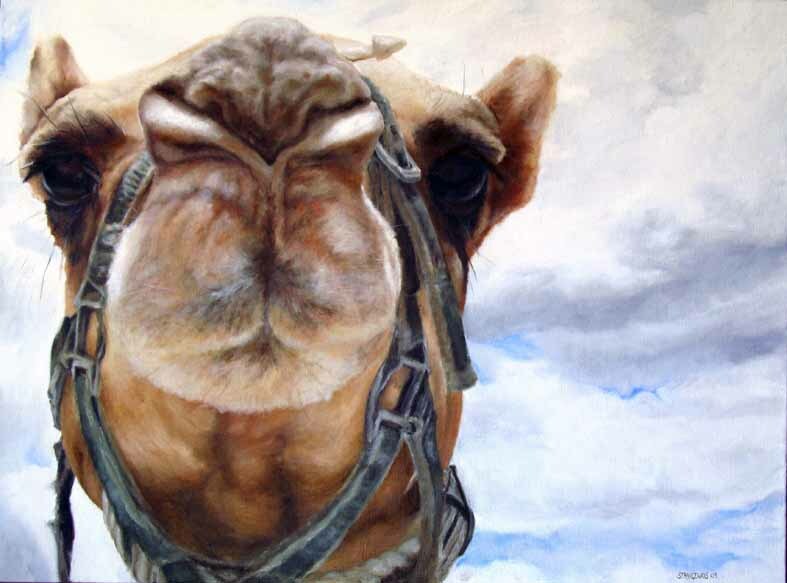 There's more of course . . .